4.8/5 out of 571 votes. 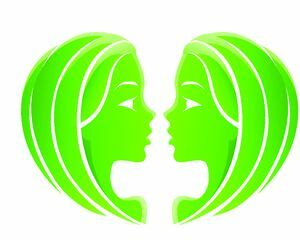 Gemini Daily Horoscope for Today, Tomorrow and the Day after Tomorrow. All the latest information you need about Gemini Horoscope and updated Daily. Technology could pave the way for you to greatly increase your income, possibly through new skills or investments. This is likely to be a very positive development, setting the stage for future financial success. Some unusual, interesting dreams could come your way, bringing unexpected revelations about you and your past - and possibly your future. Write them down! They could hold important messages for you from your higher self. Did you wake up this morning with a vague recollection of a half-remembered dream bugging you? If so, it won't do any good to try to pull it up. Perhaps you aren't meant to remember the entire thing, in which case you should try analyzing the little bit you do remember. Perhaps it will come to you when something reminds you later. Don't let it drive you crazy. It's only a dream, after all. Pressures on the job may be mounting. You might feel so disgruntled that you want to chuck it all and run away. Foreign countries and distant states may suddenly seem far more appealing than usual. Maybe it's a good idea to plan a vacation. The stresses you've been experiencing could adversely affect your health. You need to release them somehow. Give it some thought.